Art is not just about putting pencil or brush to paper and making something beautiful. It is about unleashing your sense of expression and entering a state of creativity where you can dig out the deepest parts of your imagination, expressing your ideas freely and apply them to whatever you desire to create something wonderful. It is also about the artistic process; brainstorming for your next project and preparing your materials. It is important that you are fully prepared before you start a project which means having all the correct apparatus. Do not fear canvas. It is an incredible way to awaken your artistic spirit and discover endless possibilities of creativity. At Reeves, our canvases are 100% cotton, acid-free and double primed so all you have to do is create your desired palette, dip your brush or palette knife and start making magic right before your very own eyes. Getting organised for a project can be one of the most exciting aspects of art as you can choose every little detail to make your vision become reality. One of the most important materials in your project preparation is your surface. Art comes in many forms and choosing what you want to create your piece on is a vital part of the outcome of your project and what you have envisioned. A favourite for many Reeves customers, canvas is a classic support medium that has been used for hundreds of years dating back as far as the 14th century. Not only does canvas serve as a great surface for artists of all levels, its basic and blank composition allows your possibility of ideas to be limitless, giving you the freedom to take your apparitions anywhere you desire. At Reeves, we believe you must know the story behind canvas before you begin working on it in order to deepen your understanding of your chosen surface and expand your art knowledge. Canvas is stretched across a wooden frame and luckily ours come pre-stretched. Our canvases are made from 100% cotton but when they were first introduced hundreds of years ago they were made from linen. Linen is particularly good for oil painting and is commonly used by professional artists. Cotton canvas is nowadays more commonly used and deliver fantastic results. 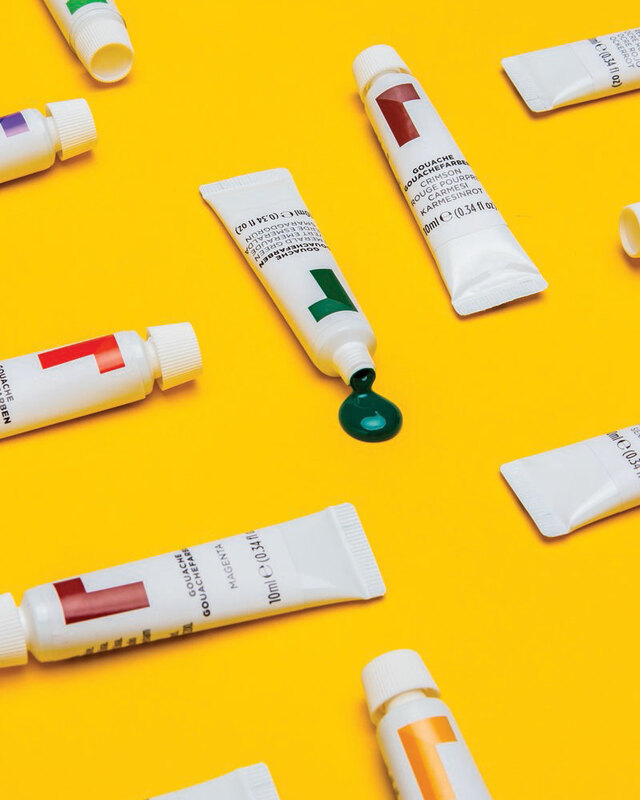 Before use, canvas is coated with gesso; a primer for your paint. Gesso protects the fibres of your canvas as well as your brushes and creates a surface for the paint to adhere to. Reeves canvases come double primed and ready for you to begin crafting. This is extremely important for oil paints as they will not bind to the canvas without gesso. Acrylics will adhere but the colours will be brighter and more prominent if gesso is applied beforehand. 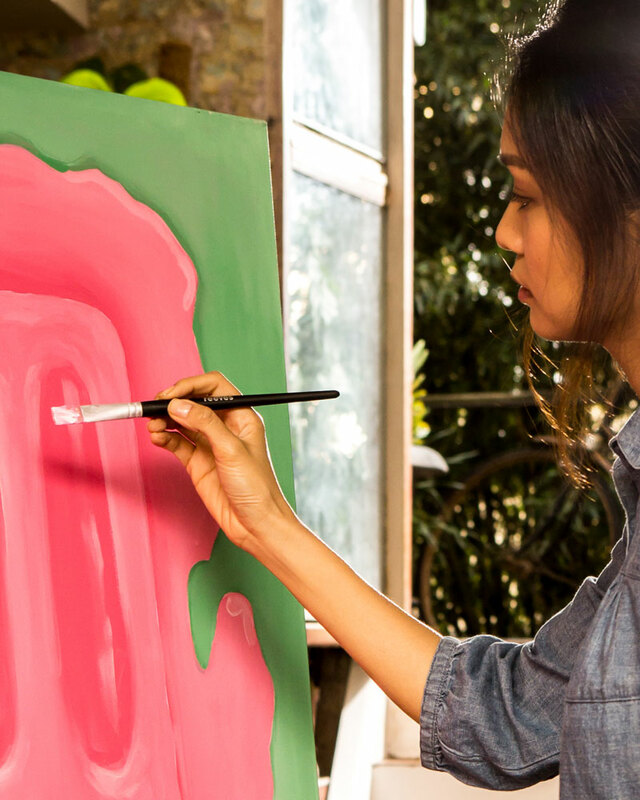 Two of the most commonly used paints for canvas art are oil and acrylic paint. Acrylic comes in as an all-time favourite with its favourable qualities; it’s easy to work with and dries quickly. Oil paint is another winner with its thick, gluey consistency it is the perfect paint recipe paired beautifully with canvas. Watercolour is another commonly used paint for canvas board. Entering the world of canvas art is a milestone on your artistic journey. It is one of the oldest used art surfaces and has been the base of some of the world’s most renowned pieces produced by some of the most famed artists of all time. Adopting the use of canvas is an achievement in your growth as an artist and is an extremely enjoyable way to express your thoughts and ideas as well as share your crafty passion with others. During your learning experience with canvas, you must adopt the best practices so that you can make beautiful pieces. Now it is time to put brush to canvas! As canvas is typically white, at Reeves, we recommend that you begin by applying a background colour to create an all over tone for your painting. This is an effective way to set the mood of your piece as you can use darker or lighter shades depending on your painting’s subject. You are now ready to begin with the details! If you’re painting is intricate, why not try sketching it out first or if you are going for a more-free flowing vibe, dive straight in with your brush or palette knife and get started on your work of art. 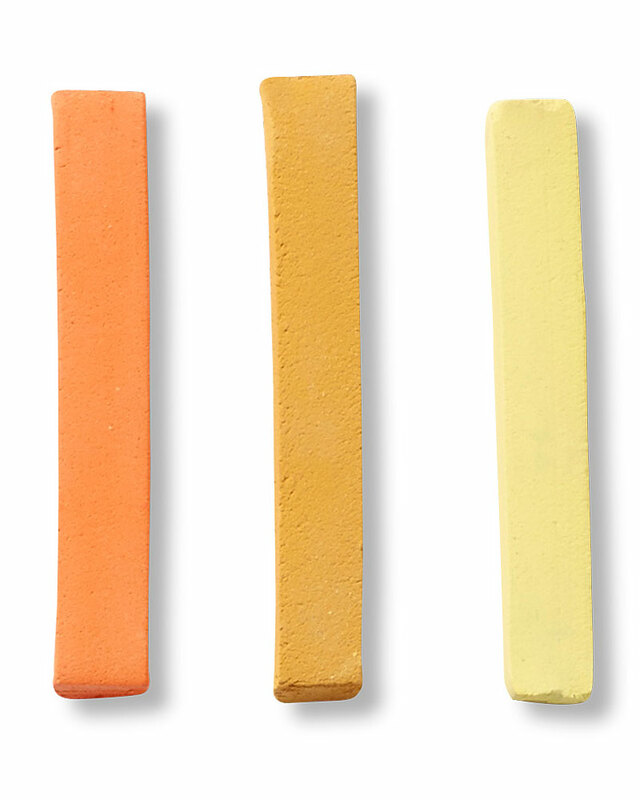 A fantastic tip for eye catching results is to apply to darkest and lightest colour you are going to use first followed by the middle shades which you can then build on and blend. 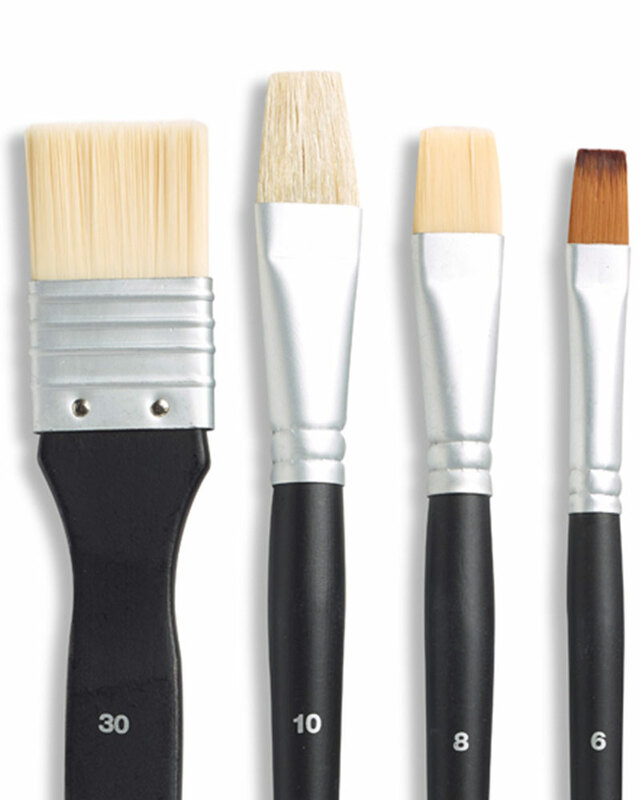 Choosing your brushes is based more on the type of paint you are using rather than the canvas itself. Canvas is very adaptable to most brushes making it the ideal surface, therefore it all depends on your paint. For acrylic paint, brush choice is diverse as stiff bristle and synthetic brushes will work well. Your brush choice also depends on the look you wish to achieve with your piece. For oils, natural bristles such as hog hair work best for great results. Palette knives also work to produce gorgeous effects on canvas and can even be used to make 3 dimensional features. As a flourishing artist, it is important that you learn about the different brushes, their compositions and their uses. To achieve the effects and results that you desire, the right brush is key. Painting on canvas is a classic method that will never be out dated. When painting with canvas you are adopting an art practice that can take you in any direction you desire and the blank page allows you to produce anything your imagination rustles up. With canvas, possibilities are infinite and your ideas and visions are boundless. It is one of the most fun ways to make art as you can recreate something beautiful, paint portraits, or paint something unique. With your completed piece, you can display it, share it, gift it or keep it for just you as a stepping stone in your artistic journey. Painting on canvas is one of the most treasured and most commonly practiced art forms that will continue to flourish in the art world. Painting on canvas is an enjoyable and inspirational experience that all passionate artists will fall in love with. 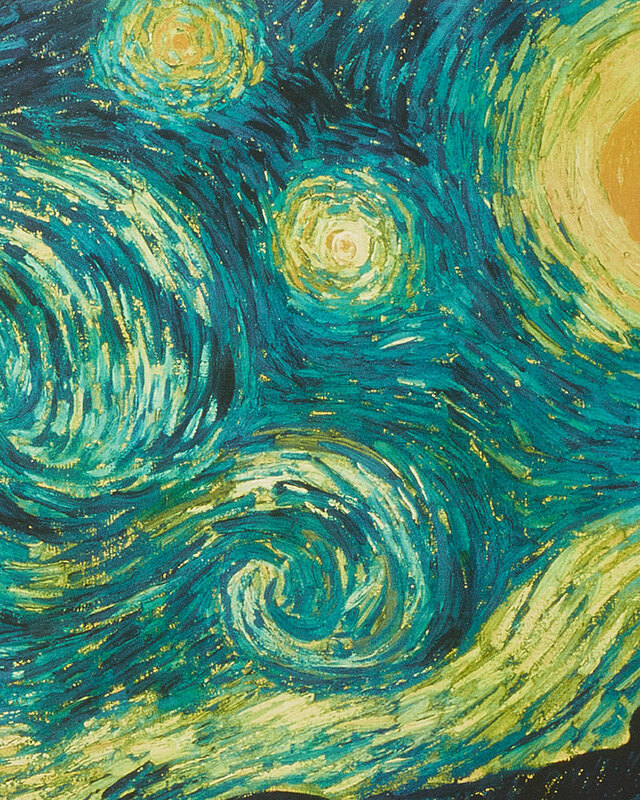 So, pick up your brush or palette knife and experience the thrill of canvas art. Find your nearest Reeves Art supplier using our nifty store locator.